Concordia University Wisconsin has signed a dual degree agreement with a partner school in Ukraine that will allow Ukrainian and American students to more easily achieve an MBA degree from both universities. Concordia’s joint program with Ukrainian-American Concordia University (UACU) will begin instruction in fall 2018 for the first cohort of students. The program will be delivered over an 18-month to two-year period and will place a high emphasis on ethical business instruction. Students who successfully complete the entire curriculum, which includes a required study abroad period at the partner university, will be granted a degree from both CUW and UACU. As part of the partnership, Concordia will periodically send MBA faculty to Ukraine to expose students to a breadth of global teaching perspectives. Birner says the faculty members’ international visits will ultimately benefit the professors, too, as well as students on CUW’s campus. With faculty in the heart of a moral battlefield, working to instill a Christian worldview, it will broaden their perspective and sharpen their skills, says Birner. 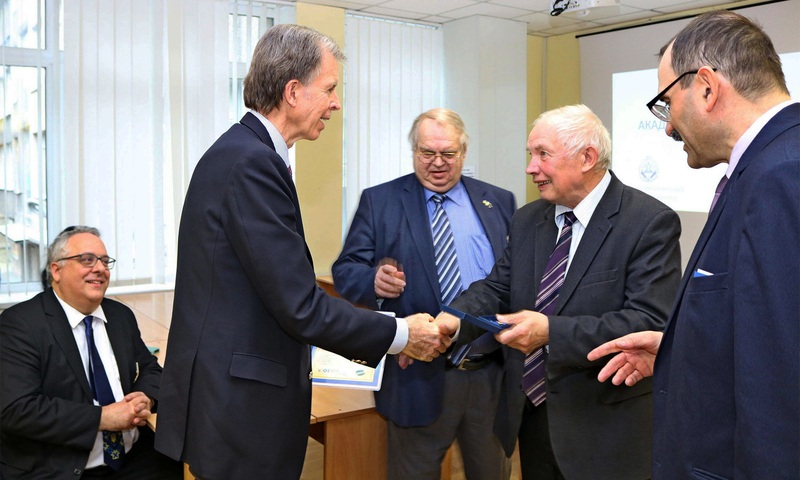 Late last month, CUW’s Batterman School of Business dean, Dr. Daniel Sem, traveled to Ukraine with Birner to lay the groundwork for the finalization of the agreement. In fall 2017, Concordia formalized its longstanding partnership with UACU when university leaders signed a partnership agreement that identifies CUW as a co-founder of the Ukrainian university. The MBA partnership is a natural extension of the former agreement, says Birner. It’s also among the first international dual degree partnerships Concordia has signed recently, with more slated to come. Last year, Concordia signed a dual MBA degree agreement with Shanghai University of International Business and Economics (SUIBE), and in 2016, Concordia launched its first dual degree program with Shanghai Normal University Tianhua College in Shanghai, China.